NASA Press Kit for space shuttle mission STS-60 (launched 2/3/94). This mission features the Wake Shield Facility and the first Russian cosmonaut to be launched by the U.S.
flight of a commercially developed research facility. scheduled for no earlier than February 3, 1994 at 7:10 a.m.
development of the core international space station program. all of the international partners. provides an 1100 cubic feet of working and storage space. and understand the boiling process in microgravity. and recorded by ground-based radars and optical telescopes. and the 60th flight of the Space Shuttle system. longitude; frequency 3880.0 MHz, audio 6.8 MHz. mile orbit with orbital maneuvering system engines. Center, Edwards Air Force Base, Zaragoza, Ben Guerir, or Moron. slow drift over next 12 orbits to a point about 40 n.m.
(if required, maintains Discovery at about 40 n.m.
less than 1 nautical mile from WSF, passing below it. unlikely to change by more than a few minutes. stainless steel disk designed to generate an "ultra-vacuum"
mission of Space Shuttle Discovery. the compound Gallium Arsenide (GaAs). fiber optic communications and opto-electronics. represent nothing less than a technological revolution. the availability of improved GaAs material. is a moderate vacuum in LEO space with very few atoms present. atoms out of the way, leaving fewer atoms, if any, in its wake. laboratory vacuum chambers. Using this unique "ultra-vacuum"
identified at that time for the use of an "ultra-vacuum." create the "ultra-vacuum" in which to grow better thin films. a traditional aerospace hardware development program. identifying and producing a product from that technology. the WSF and will play a major role in assuring its success. characterization devices. Weighing approximately 9,000 lbs. have each been valuable spin-offs from the WSF program. finish on wake side, 12 ft.
accommodating 200 pounds of experiment hardware. What is Epitaxial Thin Film Growth? layer, atomic layer-by-atomic layer manner to form a "wafer"
grown is critical to the quality of the thin film grown. of the grown GaAs film. TRW, Rosemount, 3M, Dow Corning and McDonnell Douglas. Center and the Jet Propulsion Laboratory. (MFLEX) carrier mounted on the front of the WSF (ram side). products for the space environment. weight and durability, given the harsh environment of space. enhance both the commercial and military utilization of space. operation of higher powered satellites in orbit. to low densities previously difficult or impossible to measure. provide the first flight test of this new technology. a space structure in low Earth orbit. from space while velcro-mounted to the SCBC. found in low Earth orbit and by the sun's heat. The "cleaning"
the primary video camera on the wake side of the Free Flyer. document the events with still photography, video and film. cooperation with the astronaut crew. of maneuvers in approaching the WSF. passes less than one nautical mile below the facility. prepare the Shuttle "arm" for WSF capture. period for extended WSF environmental measurement. On Flight Day 6, the CHAWS experiment will be performed. CHAWS plasma probe from the Shuttle's aft flight deck windows. to fully embrace the space epitaxial growth technology. 300 epitaxial thin film wafers. raw materials and bring back the finished wafers. that electronic materials grown in space are of higher quality. improved and advanced electronic materials. of private sector space-related activities. activity would not meet middeck-class accommodations needs. February 1990, through the Johnson Space Center (JSC). pressurized module, the SPACEHAB Space Research Laboratory. level appropriate for commercial development. demand will result from successful demonstrations of SPACEHAB. quadrupling the working and storage volume available. ambient temperatures between 65 and 80 degrees Fahrenheit. access/early retrieval and vacuum venting also are available. racks, either of which can be a "double-rack" or "single-rack"
use in the space station. accommodated by directly mounting them in the Laboratory. requirements are always fully met. orbit would also introduce undesirable operational risks. trained in the use of these procedures. will collect cosmic dust and debris. SPACEHAB-2 will carry seven biotechnology experiments. from splitting cells to studying the immune system disorders. test hardware operation and gain flight worthiness. the Liquid Phase Sintering (LPS) of metallic systems. and homogeneous in the absence of gravity. Company, Parker Hannifin Corporation, and Machined Ceramics. computer and then shuts down the experiment. experience of other ECLiPSE flights on suborbital rockets. (CVTE) furnace which flew in October 1992 on STS-52. vapor transport crystal growth furnace for use by the CCDS's. but only one of these will be flown and used aboard SPACEHAB-2. the opaque core for its Sintered and Alloyed Materials project. Materials Engineering, The University of Alabama in Huntsville. require safe and reliable life support at a reasonable cost. The Principal Investigator on ASTROCULTURE* is Dr.
developed aboard the Consort sounding rocket series. Commercial Payloads, Inc., of St. Louis, MO. sample at different time intervals during the spaceflight. Liu, Manager of Microbiology, is Entotech's representative. fertilizer production would be tremendous. provide data needed to address this goal. infection and population dynamics and in genetics research. microgravity on cell behavior -- especially cell division. feasibility for use as such a test model. will initiate the various investigations within the BPMs. transfer the initiation solution into the center syringe. to develop during the balance of operations. Facility at Cape Canaveral, Fla.
also of BioServe, are responsible for mission management. in one device in the low gravity environment of space. shown in the following three tables. reproduction as a drug production process. as a second level of sample fluid containment. first chamber, activating the biological process. investigations by attaching a crank handle to each GAP. causes the fluids in the forward chambers of each FPA to mix. Most of the GAPs will be activated on the second flight day. terminate FPAs in parallel with the flight crew. to the sponsoring laboratories for detailed analysis. physiological systems affected by the immune system. Research Center. The CAEM provides life support for the rats. support of activities to develop the commercial uses of space. (PEG-IL-2) -- is longer-lasting than recombinant Interleukin-2. suppression of the immune system seen in rats flown in space. The other six rats will receive a placebo. 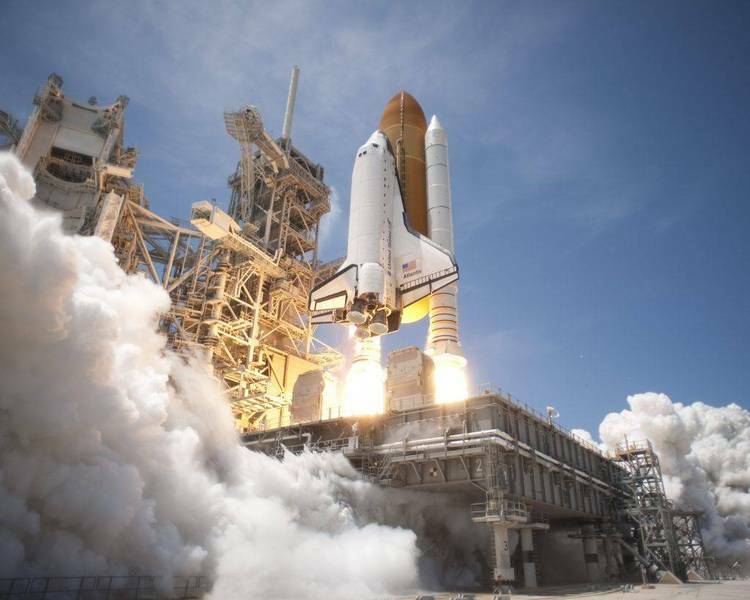 microgravity, and the forces of Shuttle re-entry and recovery. treatment for shipping fever in animals on Earth. therapy of kidney cancer in humans. exciting commercial opportunities for Chiron Corp. The science team will be led by principal investigator Dr.
are Drs. Marvin Luttges and Keith Chapes of BioServe and Dr.
Armstrong and Mary Fleet, BioServe. the Organic Separations (ORSEP) payload for flight on STS-60. separation before partitioning equilibrium can be established. culture cell subpopulations for cell product. the SPACEHAB Space Research Laboratory, and sounding rockets. locker located in the module. being held at selected temperatures in a sterile environment. bone-marrow cells will be provided by Dr. Marian Lewis at UAH. cassette devices will be launched in the Shuttle. The principal investigator of ORSEP is Dr. Robert J.
Naumann, University of Alabama in Huntsville. Commercial Protein Crystal Growth (CPCG) experiments on STS-60. that significantly facilitate X-ray diffraction studies. missions after completion of STS-60. are formed within a temperature gradient. more perfectly in the weightlessness of space. on the screen of the Powerbook for the astronauts to view. to be crystallized in this flight of the PCFLS system. predictable enhancement by growth in microgravity. capabilities for dealing with the future of our world. is Dr. Charles E. Bugg, Director of the CMC. for the technology development were obtained. two-gigabyte magnetic hard drive devices. experiments, research and commercialization activities. acquired on the SPACEHAB-2 mission. measuring about 5 inches square. disturbances near an Environmental Control Support System. and crew exercise with the treadmill and bicycle ergometer. had marginal reliability and lower theoretical efficiencies. as one of its highest priority technologies for development. less than one cubic foot. material and has extremely fine structure, about 50A. The first GAS payload reservation was purchased by R.
students with a new world of hands-on space research. of a water and oil mixture. universities and institutions with their GAS projects. integration, operational, and safety documentation procedures. members found a home for the GAS program on Cape Canaveral. NASA's Get Away Special Experimenter's Symposiums. To date, 97 payloads have flown on 19 Shuttle missions. bearing, which has never before been built. own energy needs and is controlled by an on-board computer. with a 90-minute process to melt several metal alloy pellets. experiments requiring a low gravity environment. Indian Learning and Leadership (SKILL) program. Applications, Microgravity Sciences Division, Washington, D.C.
boiling process easier to study in microgravity. predictions resulting from modeling and on-Earth performance. micrometeorites and dust particles in low-Earth orbit. molecular flow and the rotating satellite. automated computer-to-computer amateur (packet) radio link. mission specialists Ronald Sega (license pending) and Sergei K.
in the U.S. and Russia using "ham radio." stations using amateur radio voice and digital techniques. INTERNET and amateur packet radio. regular voice and teletype bulletins. monitored on a worldwide downlink frequency of 145.55 MHz. flight was as pilot of Shuttle mission STS-61C in January 1986. NASA Headquarters in Washington, D.C.
Bolden has logged more than 481 hours in space. University of Southern California in 1984.
first Shuttle flight was as pilot of STS-48 in September 1991.
hours flying time in over 60 different types of aircraft. September 1992 on Shuttle mission STS-47. Davis has logged more than 188 hours in space. hometowns, and he will be making his first space flight. in 1980 and will be making his fourth space flight. in 1967 and from Hartford High School, Hartford, Ct., in 1969.
astronaut corps and the scientific community. Chang-Diaz has logged more than 457 hours in space. both long-duration stays aboard the Russian Mir Space Station. with the uncontrolled station and for repair of the station. the Mir space station until their return on April 27, 1989.
during his stay, until his return on March 25, 1992.